It’s tempting to want to solve conflicts for kids as soon as we see them occur. But, giving kids the tools to resolve their own conflicts instills a sense of responsibility and teaches them skills to be used in all kinds of social situations. When children know how to handle a situation responsibly, they won’t see conflict as someone else’s problem. Successful conflict resolution takes practice, and adults can help kids develop these important skills. Was that four square ball in or out? Who was first in line? Who gets to use the red marker first? These, and other common disagreements, occur frequently in elementary schools. “He did it!” Kids tend to point fingers when a problem arises, but adults know that it often takes two to start a conflict. Use I-statements like “I feel ___ when you ___” to help kids identify emotions both in themselves and others before they try to pass the blame. Before discussing solutions, walk kids through disagreements using I-statements. Over time, they will pick up the habit without adult prompting. 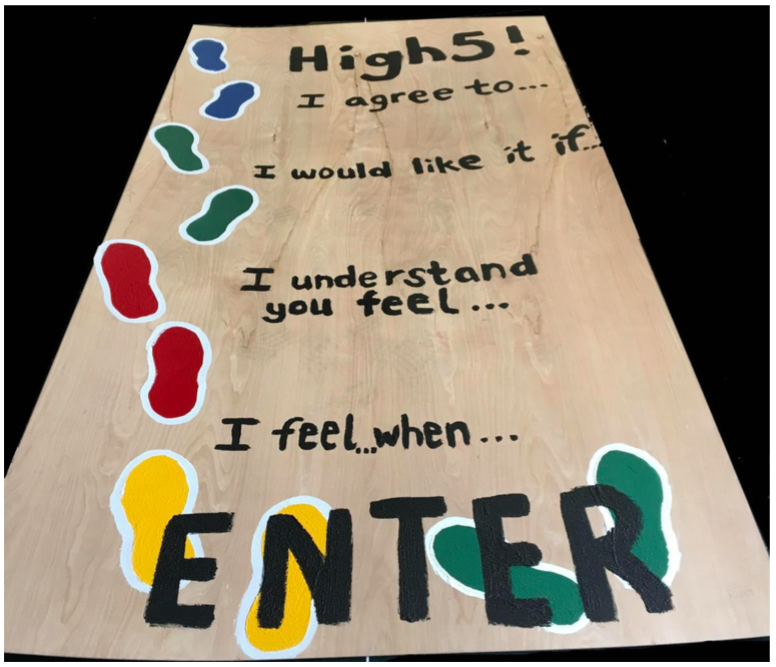 A peace path is a step-by-step guide for students to follow when resolving conflicts. You can teach a peace path to your students and then post it on a wall or paint on the playground. 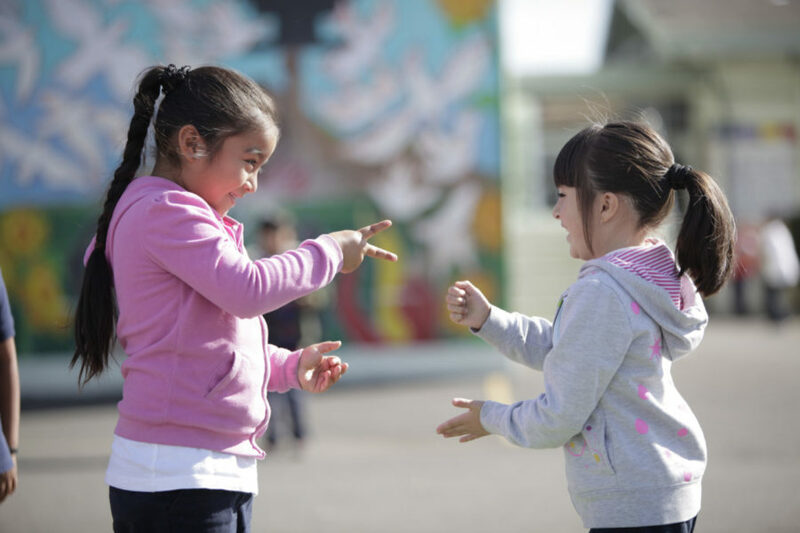 Identify and train student leaders to become conflict managers who are available on and off the playground to help their peers. Students learn resolution techniques when kids lead by example, and peer mediation can be more accessible to students who worry about ‘tattling’ to adults. Find a curriculum that is right for your school. Create your own Peace Path like this San Francisco school. Notice when kids are blaming others on the playground and ask them to use I-statements. Reintroduce or teach Rock Paper Scissors to your students. Encourage them to try to resolve conflicts on their own before seeking out an adult. Take the Recess Checkup to assess the health of your recess. This three-minute, online quiz is designed to help you identify strengths and uncover areas for improvement. Students with behavior issues are learning how to understand feelings, resolving conflicts and positively engaging on the playground. Use this handout to help your kids take responsibility for resolving conflicts, and identify emotions in themselves and others.